So when I found this out it was one of those - holy moly moments. I've been doing it wrong for a loooong time. 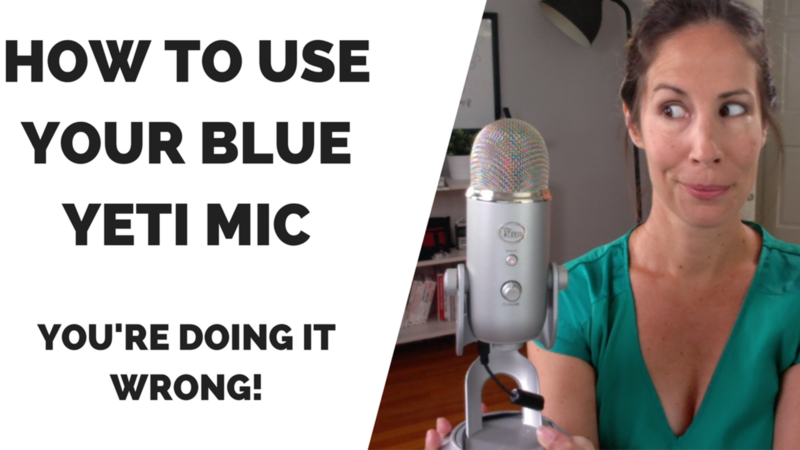 I thought I would help spread the word about how to actually and properly use your Blue Yeti USB Microphone. Were you doing it right? Or did you just learn how to properly use your Blue Yeti USB microphone? Audio is so important in video and you want to make sure your audio is coming in loud and clear. Take an extra few minutes before you begin to make sure you mic is properly setup and you are getting the best possible audio.